Tickets continue to be snapped up by members with the Sunday showing of the Grinch now sold out. There will now be a showing of the Grinch on the Saturday morning and members can now get a further three tickets for all shows even if they have already secured their tickets. 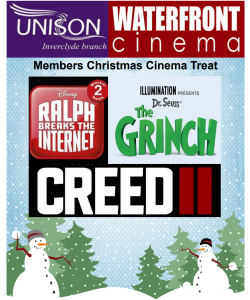 Members need to collect their tickets in person from the Waterfront Cinema. Remember you need to have your Unison membership number and your work ID when you go to collect your tickets. 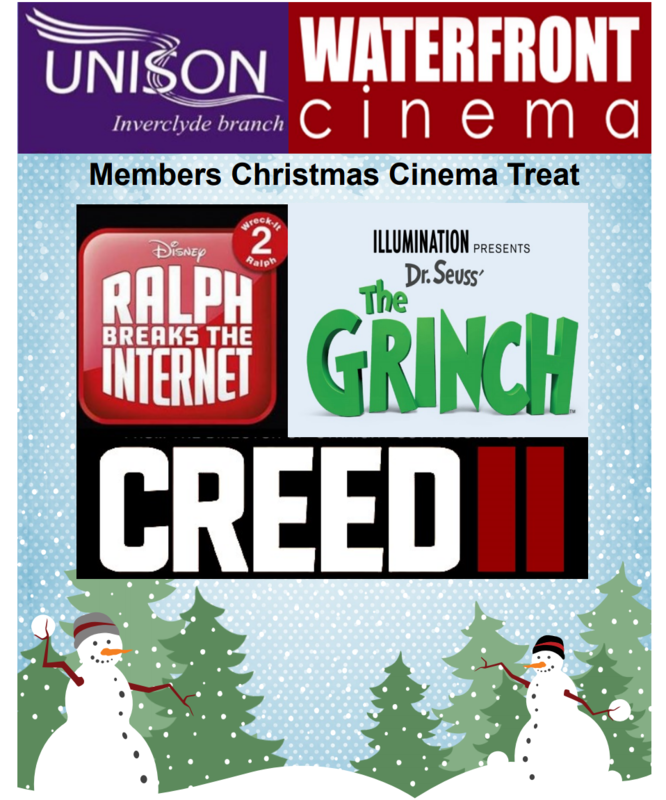 Don’t miss out on your chance to take advantage of this Unison Inverclyde offer.